My family lived in Lahr Germany from August 1969 to August 1972. My father was not in the military but had been hired by the Canadian Army as a teacher at the high school on the Canadian Base. In order to make the most out of our three years living in Germany, my parents purchased a Volkswagen Camper (also known as Westfalia) which gave us the freedom to gallivant pretty much anywhere in Europe, on a whim and on a trim budget. Weekend trips were customary and longer treks the norm during the summer months and extended school vacations. My sister and I loved, loved, loved that camper! My bunk was perched up high, in the rooftop bellow shaped pop-up tent: it was magical, my very own little space where I would spy on the outside world through the screened windows. In the era of flower power, our baby blue camper was joyfully decorated with those hippie style 60’s colorful flower stickers; we were definitely the cool family! The beauty of Southern France’s landscape was not the only love affair I had with this part of the country. The fragrant Provençal dishes awoke my taste buds in a way few other cuisines ever had. As a child, I was rarely put off by food. 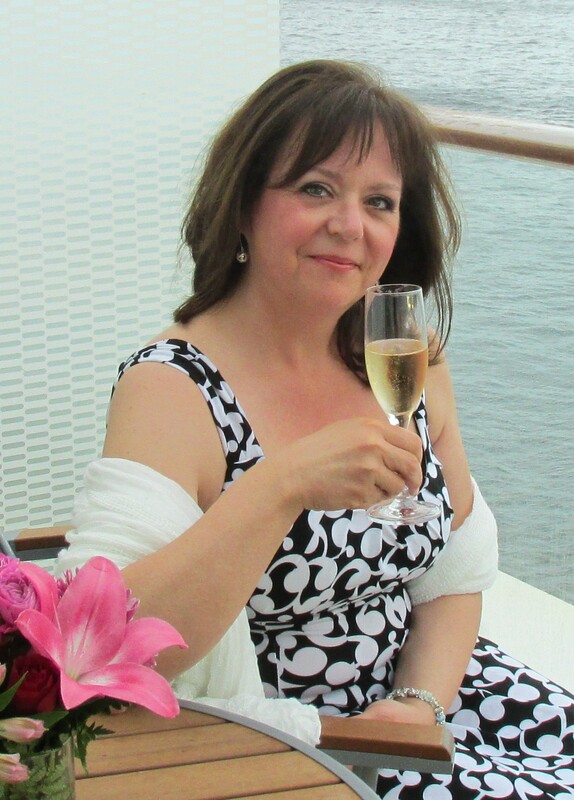 Lucky for my parents and lucky for me… I was bold! From trying sea urchins freshly plucked from the Mediterranean to squid, fried smelts and winkles, my gastronomic discoveries fluttered from one delectable offering to the next. I dove into bouillabaisse like it was nobody’s business and savoured the sweet earthy flavours of Calisson d’Aix: diamond-shaped confiseries of melon and almond paste artfully nestled in paper-thin wafers. Pan Bagnat purchased seaside were the perfectly cool, refreshing sandwich to enjoy as the sun hit its zenith before begging everyone to lie down for a nice little siesta. 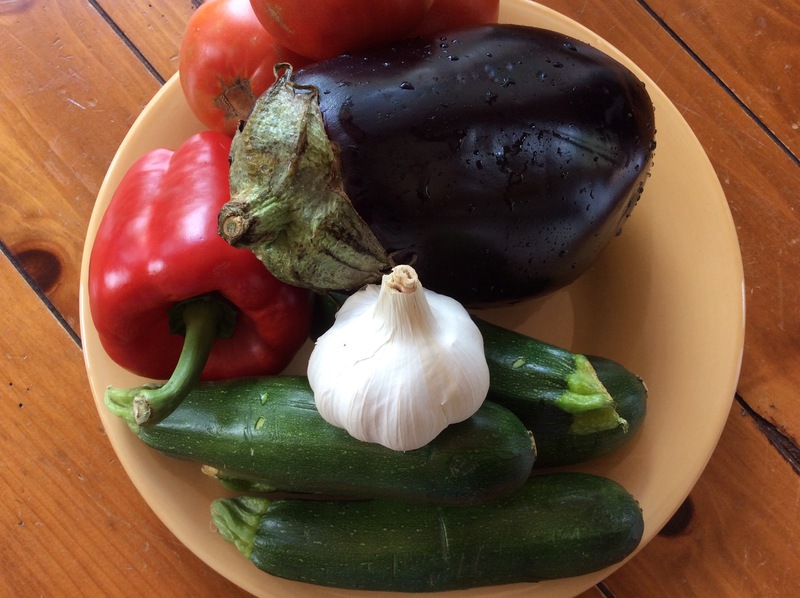 Yes, the flavours of Provence have haunted my life and my kitchen ever since that blissful summer of 1971… Pizza Margherita, stuffed courgette flowers, gelato, salade Niçoise, pistou, tomatoes with basil… And ratatouille niçoise! That one dish standing majestically above all, oozing essence of Mediterranean fare. Yes. Simple. Humble. Ratatouille! Oh how I adore that rich vegetable stew! 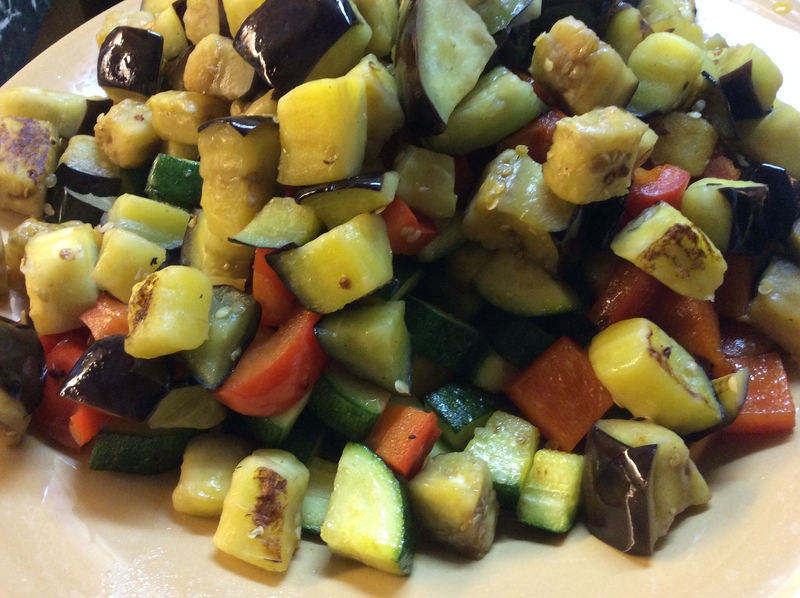 Years later, during the short Canadian summers, when all the stars line up properly and the produce is as sun-drenched here as it is in the gardens of le Midi de la France, I transport myself back to my beloved Provence by cooking up a big batch of ratatouille. I must admit though that I have been blessed by life and even if I live a huge ocean away from Provence, I have had the opportunity to return to the land of Marcel Pagnol on several occasions, rekindling a passion as poignant in adulthood as it had been in childhood. I was 23 years old when I returned to Provence. Would you be surprised to read that I feasted several times on anything and everything that featured ratatouille? The first mouthful (and second and third…) was as explosively and as blissfully delicious as I had remembered. Why then couldn’t I recreate this back home? What was I doing wrong? Upon my return, and armed with new resolve, I vowed I would master the ratatouille if it killed me! I tried every recipe I could put my fingers on and still yet, I faced disappointment. Then one day, I unlocked the secret code: someone finally told me my problem lay with how I was handling the eggplant! Dear lord could it have been that simple? Really? All I really, really needed was to show this oddly textured vegetable a little bit extra tender loving care, by letting thick slices sweat off the bitterness with salt??? Eureka! Not only did this new-found trick permit me to finally master the best ratatouille I had ever made in my entire life, it also elevated any other eggplant dish to the next level. My Ottawa ratatouille finally tasted like Aix-en-Provence! In all my attempts and recipe searches, why on earth could I not have found one recipe, one cookbook offering the proper technique of preparing eggplant? 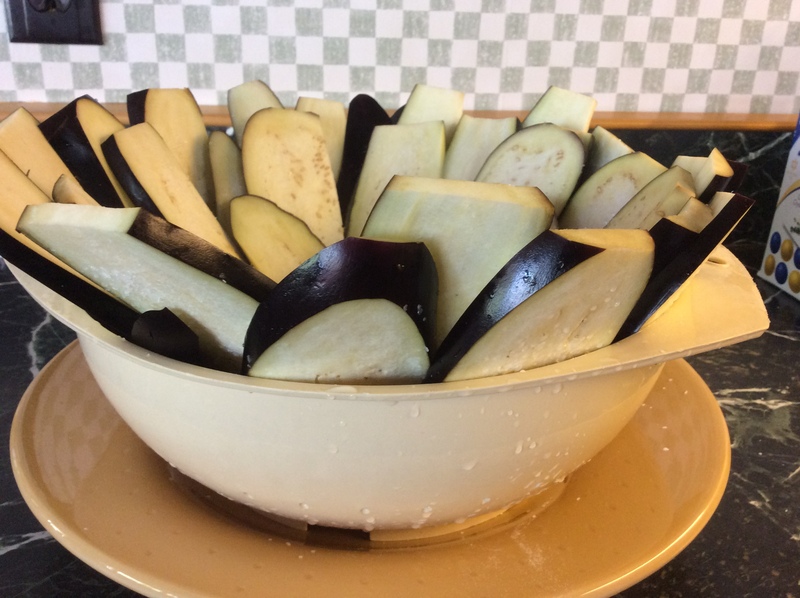 That fact is beyond me… And to this day, eggplant based recipes seldom point out that this vegetable needs to be sliced then gently sprinkled with coarse salt and left to rest over a colander for a few hours. Only then will the bitterness dissipate, cook properly and expose its sweet silky texture. It is not complicated… It is not even labour intensive: all it needs is to sit for a bit while the salt works its magic. Simple. Easy. Life changing. Well, in the world of eggplant that is!!! 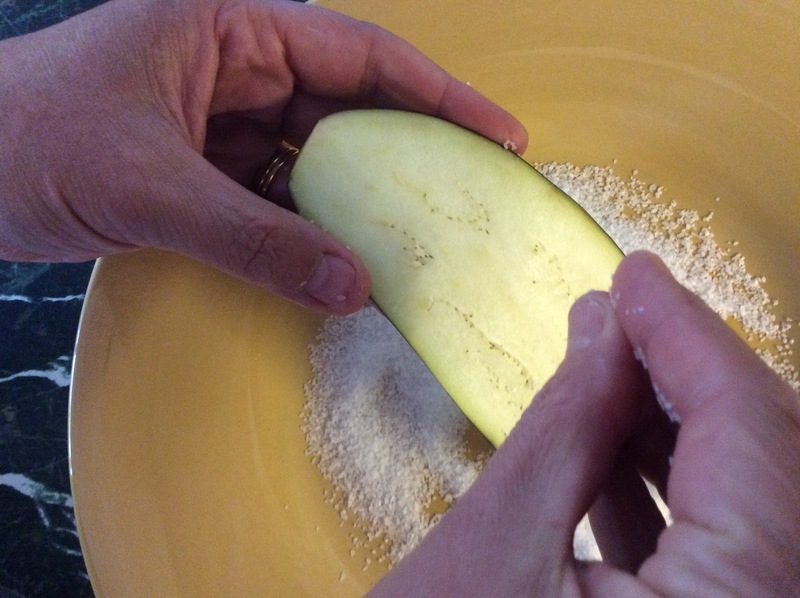 Removing bitterness and excess moisture is not the only role salt plays: it also changes the texture slightly, allowing eggplants to brown better while absorbing less oil and rendering a flesh that is as smooth as silk. I say almost because I have swapped the green peppers for red (in my household, not everyone can tolerate green peppers) and I omit the onions. Most recipes call for onions but I prefer the overall taste and texture without them. You may add 1 large sliced onions and swap the red peppers for green if you really want to stay authentic! Reserve a few hours of «standing» time to let the eggplants sweat it off. Just like marinating meat: 3-4 hours is plenty. * swap with 2 medium or several mini ones. 1. Cut the eggplant in 1/2 inch thick slices. Sprinkle lightly with coarse salt on both sides. Arrange standing up un a colander. 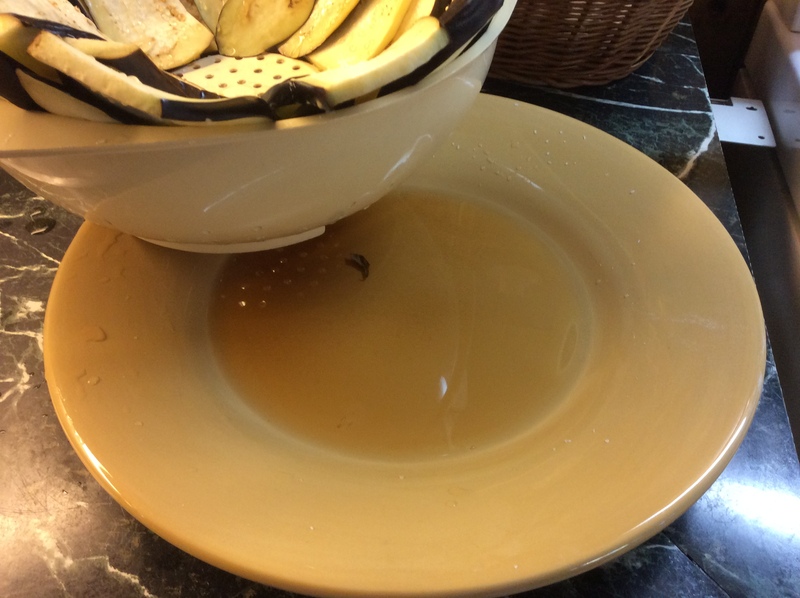 Set the colander on a deep dish to collect the juices. let sit for at least 3 hours and up to 6 (thicker slices require a bit longer sweating time). Once this step is completed, rinse each slice under cold water to remove all the salt and pat dry. Discard the accumulated liquid. 2. Chop the eggplant, zucchini and pepper in approx. 3/4 inch pieces. Keeping all the vegetables separate. 3. Peel the tomatoes* and chop coarsely. Set aside including all the juices and seeds. 4. Add a few generous tbsp. of olive oil to a large and deep heavy bottom pot such as a heavy cooking pot or an enamel coated cast iron Dutch Oven. Place on stove top and set to medium-high heat. Add half the eggplant and sauté quickly until the edges start to brown. Transfer to a plate using a slotted spoon, shaking as much excess oil as possible. 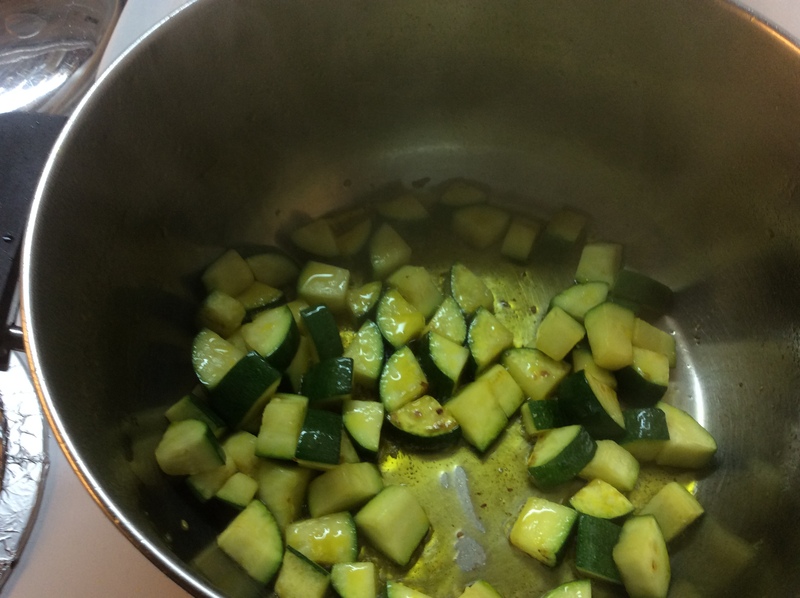 Repeat, in batches, with the zucchini and pepper, adding oil and reducing the heat as necessary. Proceed with the onions If you are using. 5. Once all the vegetables have been browned and set aside, add a bit of extra olive oil and the tomatoes to the same pot. Bring to a quick boil the reduce heat to simmer a few minutes. At this point, you can add a splash of white wine, maybe a half a cup, to loosen up the sauce. I purposely omitted the wine in the ingredient list. It is not necessary but I find it adds a little «je ne sais quoi» which I really enjoy. You can use water instead if the tomatoes thicken a bit too much. 6. Add the minced garlic and the leaves from the thyme sprigs. Let cook for 5 minutes until the garlic has completely softened. 7. Now add all the vegetables to the tomato sauce. Stir gently to coat well. Bring to a soft boil then turn down heat to a gentle simmer. Let the ratatouille cook slowly, stirring occasionally. I usually let it simmer for about one hour to let all the flavours develop really well. It can simmer longer… If it thickens too much, you can add a bit of water. Season to taste with salt and pepper. *Dunking the tomatoes in boiling water for about a minute then shocking in a cold water bath with help the skin peel of easily. Or, if you are anything like me and hate to dirty more pots than I need to, you can invest in a small serrated vegetable peeler especially make for delicate and thin skin produce such as tomatoes. This is what I use and I hardly ever use the boiling water method unless I have huge quantities of tomatoes to peel. It keeps well in the freezer too. Although for some odd reason, mine never makes it there! Final note: having sold you on the virtues of sweating the eggplants, I must tell you that I apply this technique to the large common deep purple aubergines. For as long as I can remember, this was the only variety of eggplant we could find here in Ottawa. Now, the landscape of the produce world is changing rapidly and for the better in our markets. Many different types of eggplants have become increasingly accessible: small Italian, baby Italian, Japanese, speckled, light purple and even white eggplants… And like with any other vegetable, the taste and texture varies slightly from one to the other. Japanese eggplants and baby Italians have nearly zero bitterness, allowing cooks to chop and cook right away, happily leaving behind the sweating process. I still like to use the good old big bitter eggplant. I enjoy its transformation from bitter to sweet, at a fraction of the price! It is still the cheapest by far, often overlooked for the more «cook friendly» varieties… But let’s face it, don’t we all love the story of the ugly duckling that turned into a beautiful swan?